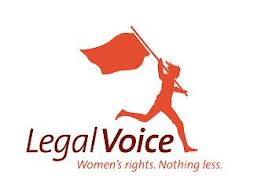 Legal Voice is a progressive feminist organization using the power of the law to make change in the Northwest. We use that power structure to dismantle sexism and oppression, specifically advocating for our region’s most marginalized communities: women of color; people with disabilities; LGBTQ+ populations; gender non-binary and gender non-conforming people; immigrants; low-income women; and others affected by gender oppression and injustice. We make change through high-impact litigation, legislative and policy advocacy, and education about legal rights. We work in many different areas of the law, including reproductive rights, family law, LGBTQ+ rights, civil rights, gender-based violence, affirmative action, public benefits, rights of incarcerated people, employment, health care, insurance, and education. For complete job description, see the PSJD posting here. Law Students: Experience a career-making internship opportunity through The ABA Antitrust Law Janet D. Steiger Fellowship. Work in the consumer protection and antitrust departments of state Offices of Attorneys General and other governmental offices throughout the US. he Janet D. Steiger Fellowship Project provides law students the extraordinary opportunity to work in the consumer protection departments of state and territorial Offices of Attorneys General and other consumer protection agencies, including the National Association of Attorneys General and the Attorney General’s Office of the District of Columbia, throughout the United States. 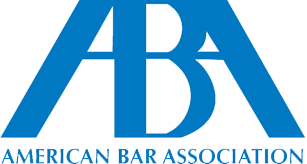 The eight to ten-week paid Fellowships were initiated in 2004 by the ABA Section of Antitrust Law, in cooperation with the National Association of Attorneys General, as a consumer protection outreach initiative to introduce law students to the rewards of legal careers in public service. A total of 355 Steiger Fellowships have been awarded through the summer of 2018. The Council of the Section approved funding for states and other entities to participate in the 2019 Steiger Fellowship Project. Each selected student will receive a $6,000 stipend (subject to certain federal taxes and administered through the offices of the various consumer protection agencies). This Project continues to be a tribute to the memory of the late Janet D. Steiger, one of America’s great public servants who, during her remarkable tenure as FTC Chairman, dramatically improved cooperation, communication and coordination between state and federal consumer protection and antitrust enforcement agencies. The Institute for Justice’s Dave Kennedy Summer Fellowship program provides an unparalleled opportunity for select law students to substantively contribute to IJ’s cutting-edge civil-rights litigation. Fellows conduct legal research; help develop litigation strategies for active and potential cases; and draft discovery requests, motions, and briefs filed in both state and federal court.